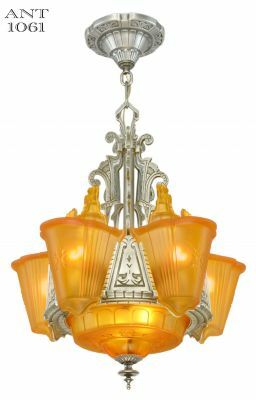 Mid-West was in Kansas City, and survived the Depression, only to be sold to Thomas Industries a few years ago. 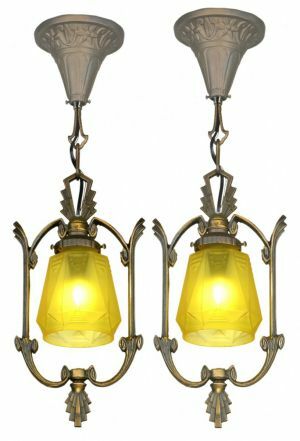 These were part of their Newport series...Circa 1935. 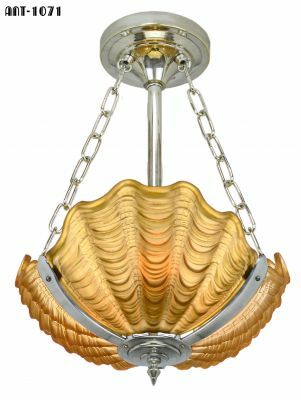 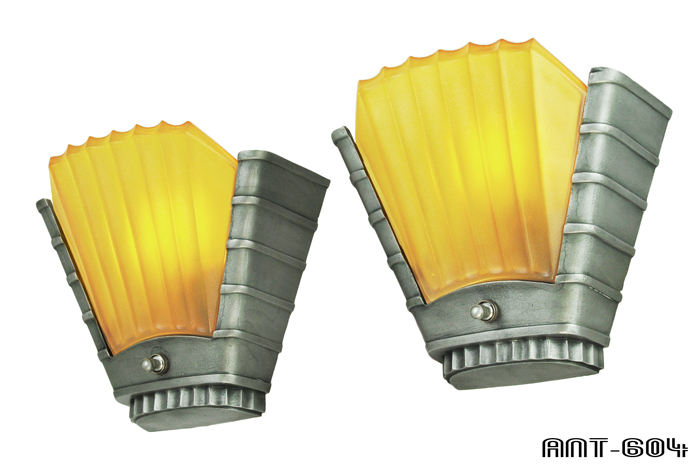 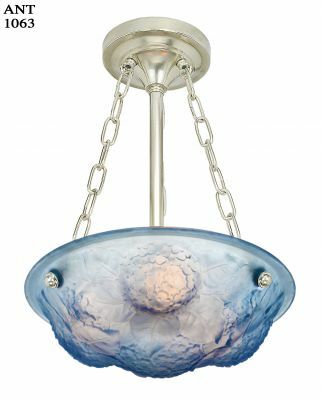 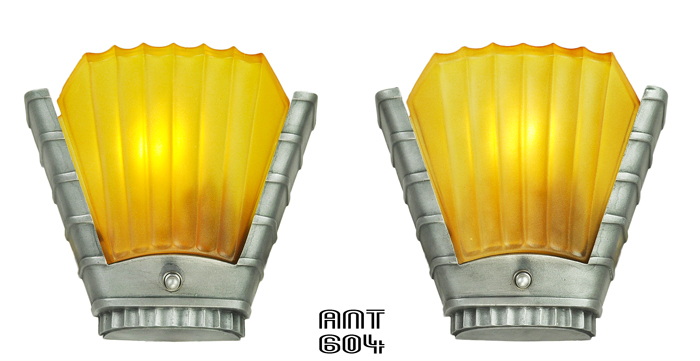 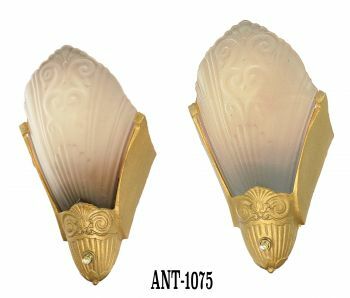 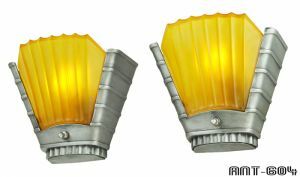 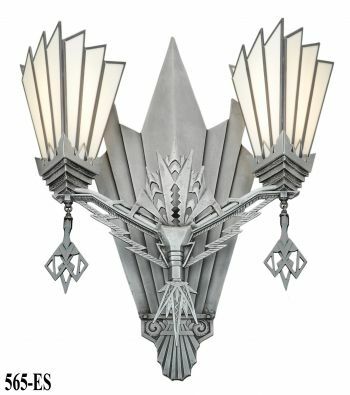 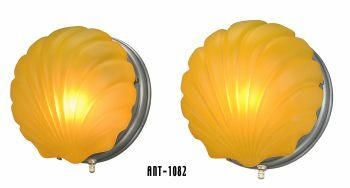 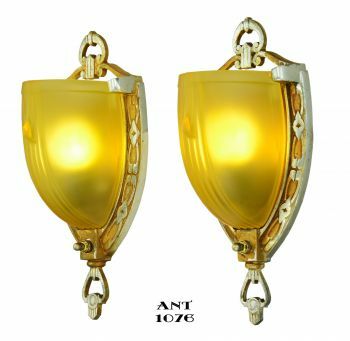 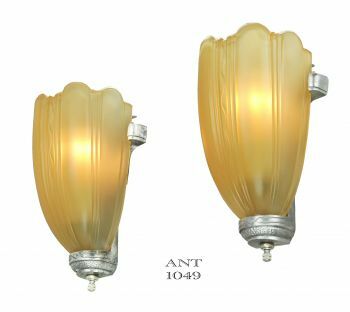 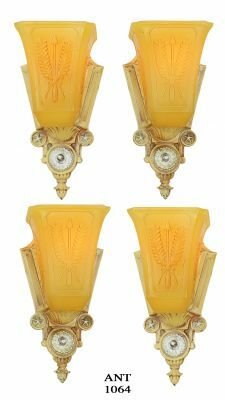 These sconces were part of the 1920s-30s Modern design school of thought. 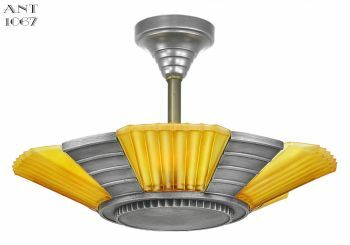 We now call it...Streamline. 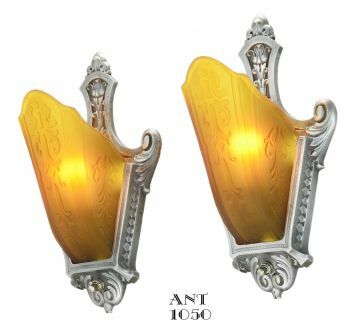 Both amber shades are in very nice condition, with just a slight bit of roughness that reflects their age. 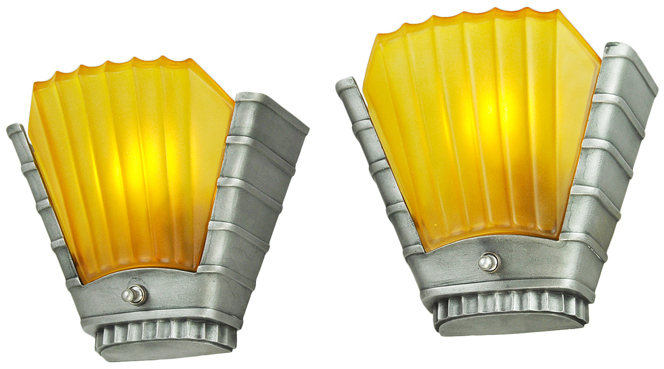 These sconces have been completely re-wired in our UL shop, with new sockets to conform to UL guidelines. Each socket is capable of accepting a 100 watt bulb. 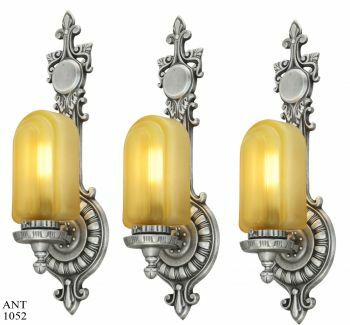 These sconces are ready to go, and will be supplied with all the necessary mounting hardware. 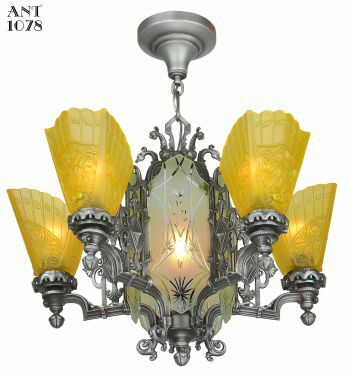 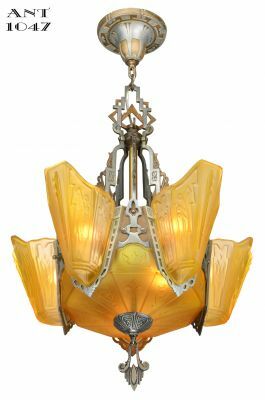 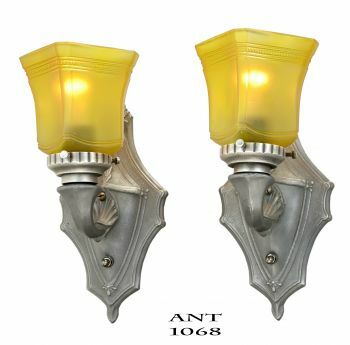 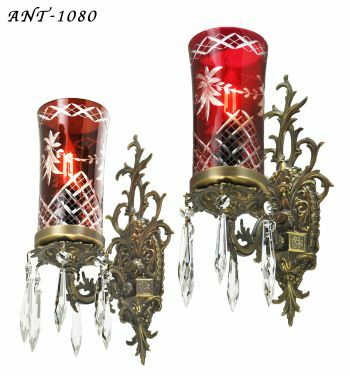 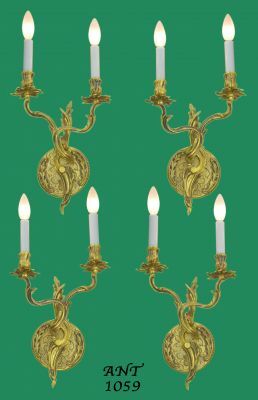 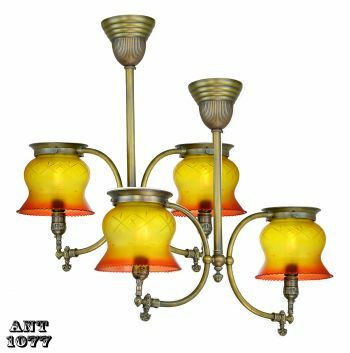 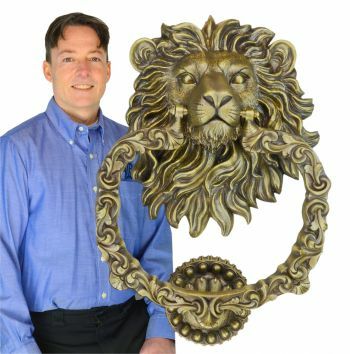 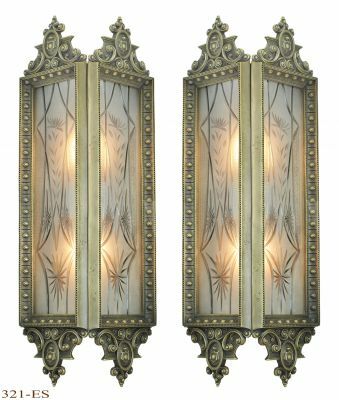 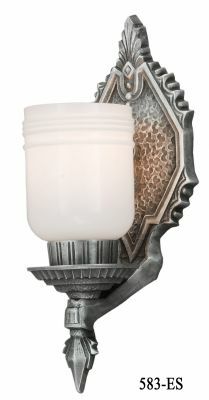 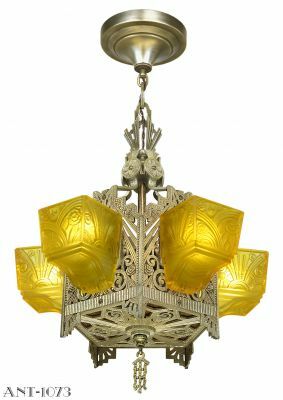 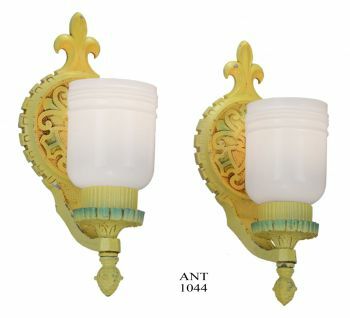 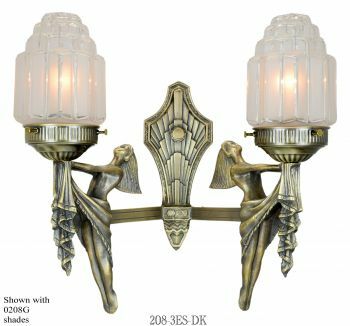 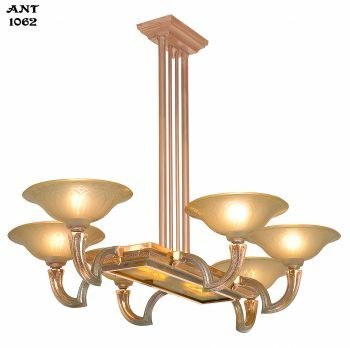 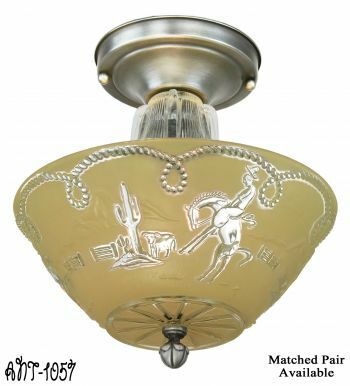 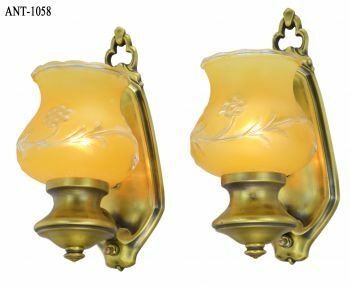 Complete, UL Rewired Pair of Newport Sconces: $650.00 plus careful shipping.